NTRCA Preliminary MCQ Model Test Six found here. 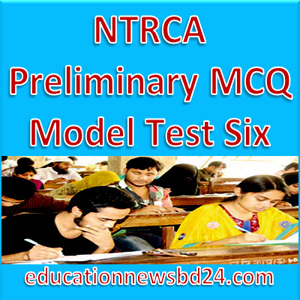 Download NTRCA Preliminary MCQ Model Test Six from here. NTRCA stands for Non-Government Teachers’ Registration and Certification Authority (NTRCA). (a) To assess the demand of teachers in non-government educational institutions. (b) To determine required qualification and competence for employment in the teaching profession.